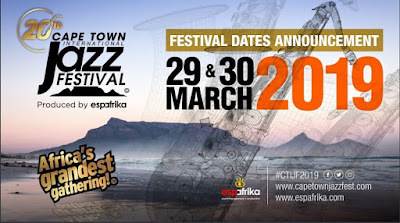 CAPE TOWN – At a time when South Africa’s heritage is being celebrated, it is fitting that espAfrika, organiser of the award-winning Cape Town International Jazz Festival (CTIJF), announces a stellar local line-up. 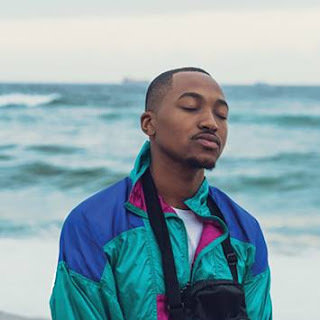 On Tuesday espAfrika announced that over the next few months, they will announce various artists set to perform at the upcoming 20th celebration of Africa’s Grandest Gathering held annually in Cape Town. The festival will take place on 29 & 30 March 2019 at the Cape Town International Convention Centre. Heritage Month is about acknowledging South Africa’s diversity and espAfrika is marking the moment with its second artist reveal, featuring seven of the country’s highly-celebrated artists. South African jazz legend Don Laka (SA); chart-topping vocalist Craig Lucas (SA); seven-piece indigenous band known for their outstanding live performances BCUC (SA); local jazz master and saxophonist Don Vino (SA); rapper Sho Madjozi (SA) who infuses her rhymes with Gqom beats; creative phenomenon and vocalist Ntsika (SA); and two-time Grammy award winners Soweto Gospel Choir (SA). In August, for its first festival artist reveal, several female-led singers were named in honour of Women’s Month. Previously announced artists include ten-time Grammy Award winner, Queen of Funk Chaka Khan (USA); award-winning jazz pianist Eliane Elias (Brazil); multi-instrumentalist, neo-soul group Moonchild (USA); South Africa’s first all-female big band, The Lady Day Big Band (SA); and local sensation, singer/ songwriter Shekhinah (SA). Festival Director Billy Domingo says the festival continuously strives for a line-up balancing South African, African and international artists. “International guests come to South Africa to see artists they are not able to see back at home. We have created a legacy of supporting South African artists by providing the international platform they deserve,” says Domingo. Official sponsors of the 20th annual Cape Town International Jazz Festival are the Department of Arts and Culture, Independent Media, AYO Technology Solutions and host city, the City of Cape Town. Celebrate 20 years of jazz with exciting early bird specials and the very best that Africa’s Grandest Gathering has to offer in 2019! Contact Samantha Pienaar on 021 671 0506 or email hospitality@espafrika.com for more information.